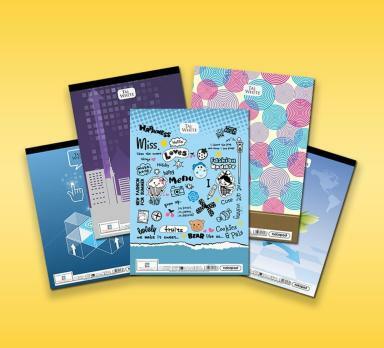 With innovative cover designs, each notebook dons a classy look. 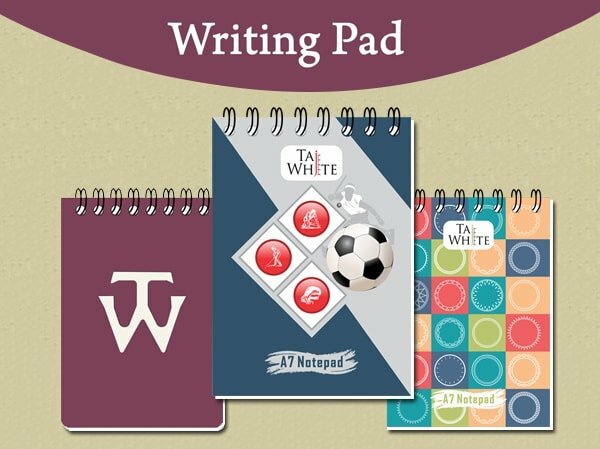 Taj White Notebooks are fashioned with World’s finest and sophisticated machines that ensure accurate and the most versatile Notebooks range that is bound to catch your attention. 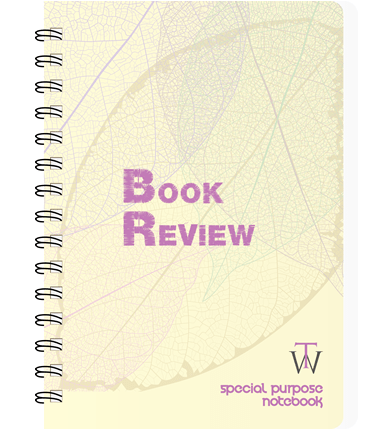 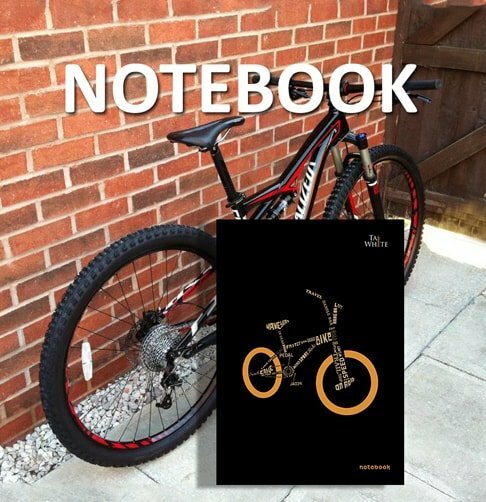 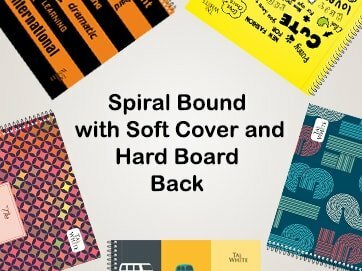 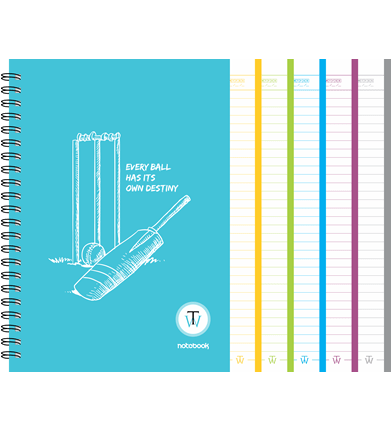 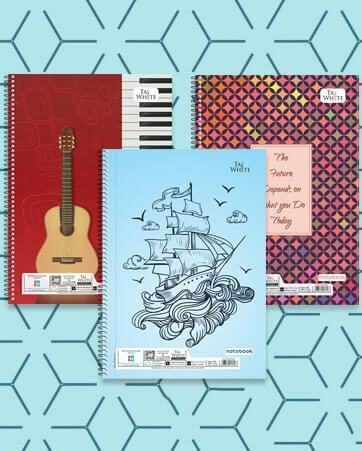 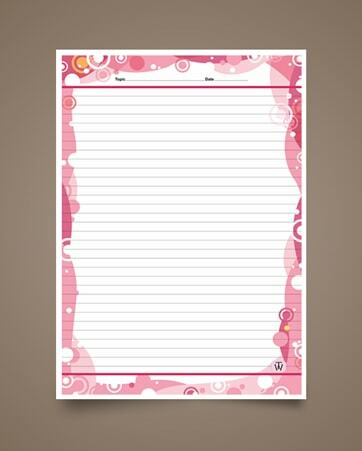 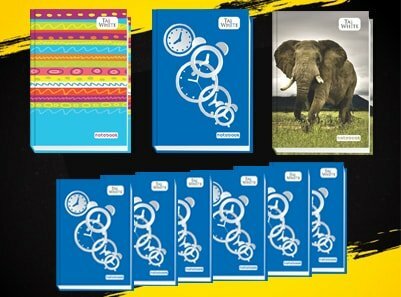 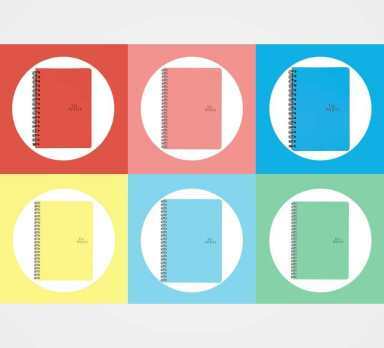 TW Spiral Notebooks that you can carry everywhere; be it your class-room, conference-room, attending lectures or meetings, or may be coffee shop just to jot down notes, something important or ideas that strike your mind.  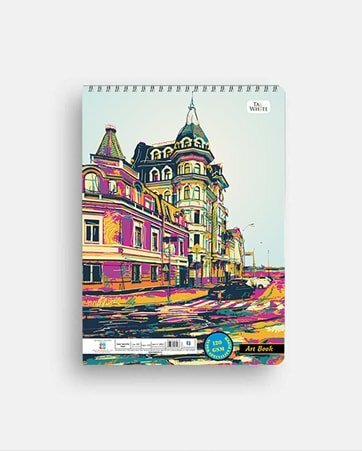 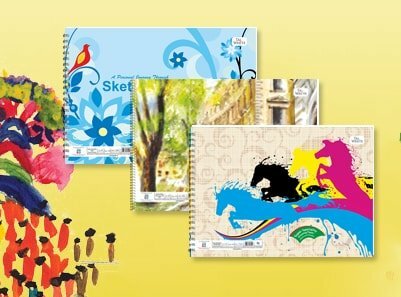 TW Drawing / Sketching Booksstandout in the crowd sheer on their diverse portfolio, design and ambience we offer. 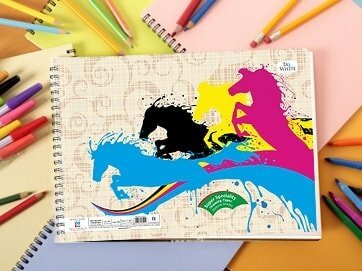 Drawing/sketching is all about being creative and just taking a different approach. 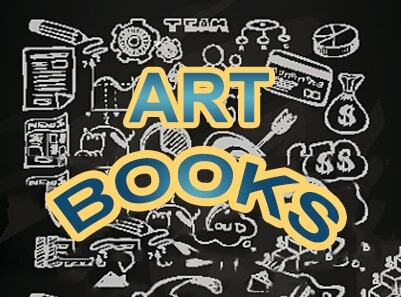 Practice makes you master of drawing skills and builds confidence. 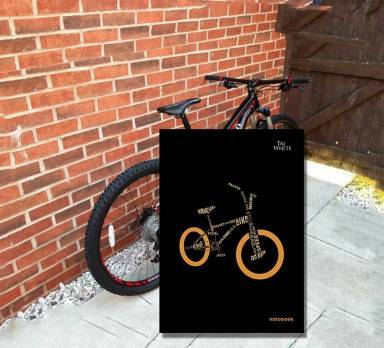 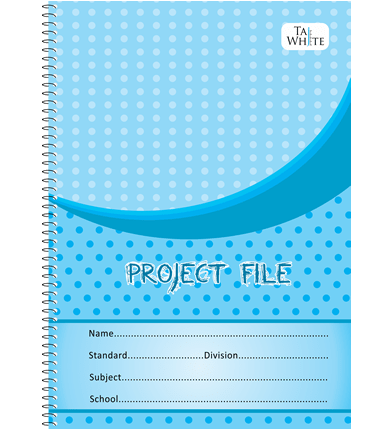 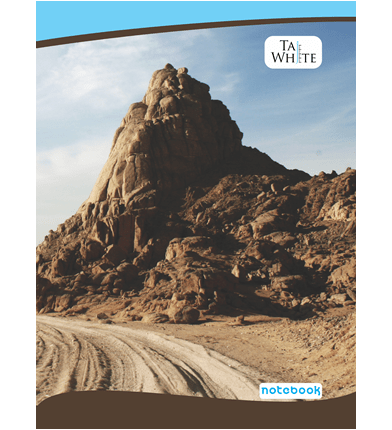 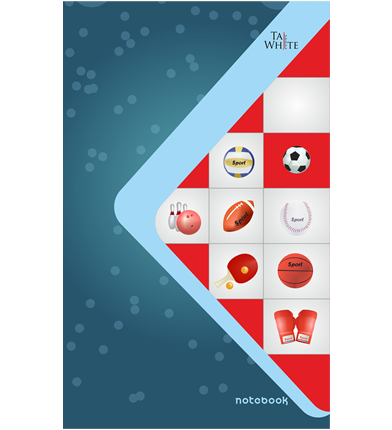 Taj White Wire-o Notebooks: What you purchase is a shrink packed Wire-o Notebook; but, truly it is a marvel that defines your image and panache, the ultimate product in this category you can wish for!